Freeview now offers four high definition TV channels. Here, you’ll find details of the subscription-free HD service from Freeview, plus details of how to get HD. Freeview HD offers high definition TV from the BBC, ITV and Channel 4 without subscription via a TV aerial. You will need a Freeview HD receiver. 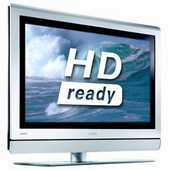 Freeview HD was announced by Ofcom in 2008, and became available in parts of the UK in December 2009. What HD channels are available on Freeview? Five HD: This was set to launch by the end of 2010, but their licence was withdrawn by Ofcom in March 2010: Five loses HD licence. When can I get Freeview HD channels? Freeview HD is live in most parts of the UK now. Freeview HD services started from the 2nd of December 2009 in the Granada TV region and in the London area, with the rest of the UK getting Freeview HD gradually as part of the Digital Switchover rollout that conpleted in 2012. As with Freeview, Freeview HD is received via a TV aerial. You will need a DVB-T2 High Definition Freeview receiver with support for MPEG-4. See our list of Freeview HD boxes for a summary of Freeview HD boxes, TV sets and recorders on offer in the UK. Can my existing box or TV get Freeview HD? Freeview HD boxes started to become available in the first half of 2010 – our favourite being the Humax HD Fox T2. More on our Freeview HD Boxes page. If you have an HD TV set with a built-in Freeview receiver, this will NOT be able to receive Freeview HD. You will need to buy a Freeview HD set-top box (with DVB-T2) and connect it to your existing HD TV set. TV sets with built-in Freeview HD receivers started to appear in Spring 2010. The first Freeview HD boxes that conform to the DVB-T2/MPEG-4 standard started to appear in early 2010 – the first of these, was the Humax HD Fox T2. We have a page dedicated to Freeview HD Boxes, which will be updated with information on new Freeview HD boxes as they’re released. Sign up to our Podcast, FrequencyCast, where we cover topics including Freeview HD, Freesat, Sky and BT Vision. Don’t want to wait for Freeview HD? Consider Freesat (offering HD via a dish), Virgin (cable TV) or Sky+HD. Price: Sky is currently offering a free Sky+HD receiver / recorder – there’s a £10.25 a month subscription for HD channels – free Sky+HD box offer. IfI buy a tv with just a Freeview HD tuner, will it also allow me to watch all the non-HD channels? Both boxes for entering email address for ‘join our email list’ do not accept valid email addresses!